We partner with best-in-class technology leaders who are at the core of our trusted web/mobile framework, RAMP, to build enterprise web and mobile faster than ever before. With plenty of experience across the platform and Salesforce alumni on our executive team we are able to deliver projects that provide immense business value and ROI. As a core tenant of the RAMP framework, we specialize in connecting web and mobile apps back to Salesforce, enabling you to make the most of your investment in the platform. 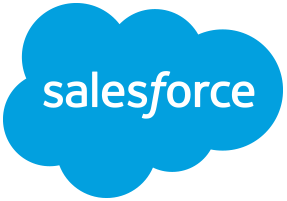 For examples of consumer scale apps connected to Salesforce, check out our Customer Stories. “Heroku is a cloud platform that lets companies build, deliver, monitor and scale apps — we’re the fastest way to go from idea to URL, bypassing all those infrastructure headaches.” This cloud platform enables us to rapidly deploy secure and scalable apps, and then seamlessly connect them back to Salesforce using Heroku Connect. Xively by LogMeIn is an IoT connected product management platform helping companies manage IoT-connected devices, users, and data integrations. Xively plays a key role in making connected product data actionable by offering easy integrations with key business systems such as Salesforce. We have worked with, and continue to work with Xively to build IoT connected web and mobile experiences across multiple industries. Auth0 is the premier identification and authentication management solution on the market today. By integrating auth0 with your web and mobile solution, we are able to ensure the reliability, and security of your data at all times. Cloudinary is the market leader in providing a comprehensive cloud-based image management solution. Cloudinary is currently being used by tens of thousands of web and mobile application developers around the world, from start-ups to large enterprises. As a certified implementation partner, we utilize Cloudinary’s platform to handle all of your media needs. Branch is a linking infrastructure for web and mobile apps that allow experiences to work the way they should. Branch increases mobile conversion, retention, and engagement through deep linking, user routing, and personalized app experiences. Jitterbit is a middle-ware partner that has combined API’s, Integration, and artificial intelligence into a limitless API integration platform. This platform allows you to easily connect SaaS, cloud, and on-premise applications in weeks instead of months. Jitterbit is a valuable partner in our mission to deliver powerful web and mobile experiences in a fraction of the time of our competition. Segment is a data management solution that allows you to capture data from various sources and integrate it with your favorite software tools. Whether the sources are web, mobile, server, or cloud apps, the data is easily loaded into Segment and deployed to potentially hundreds of tools for analytics, marketing, and data warehousing. PubNub is a real-time global data stream network that gives developers access to programmable data streams. By bringing lightning-fast computation to the network, PubNub has made it incredibly simple for us to build common real-time features such as chat, data visualization, and analytics into web and mobile applications.